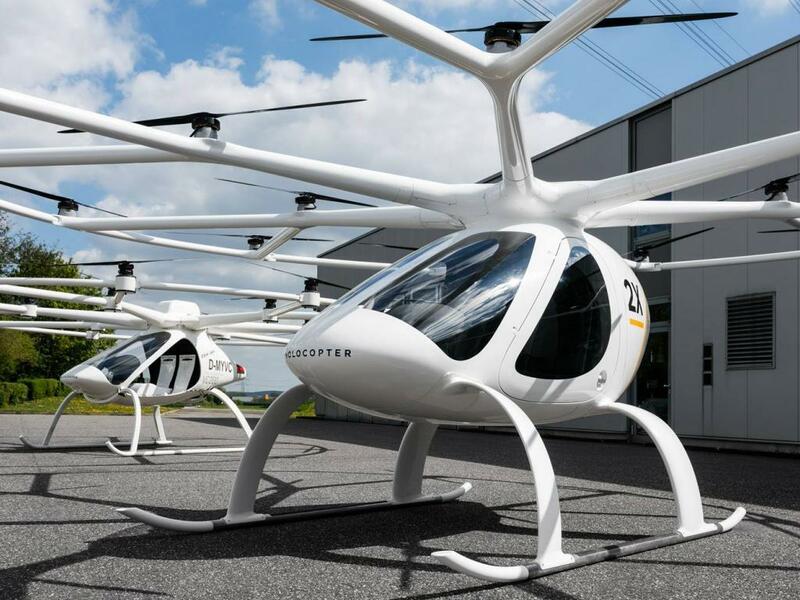 Volocopter, the German autonomous air taxi company, is working with the Singapore authorities to introduce air taxis over the city state's skies, with pilot runs set to be underway this year. The Civil Aviation Authority of Singapore (CAAS) unveiled details at the Rotorcraft Asia trade show – test trials will be done in the southern part of Singapore and over water to ensure maximum safety during the run. Tan Chun Wei, the deputy director of transformation programmes at CAAS, explained, "We are going to take off where we land. For the first phase, it's very much experimental. For a start, it is going to be over water, and we are going to work with Volocopter on the safety aspects to ensure that even flying over water, it wouldn't pose a public or even aviation risk. The landing spot will be somewhere in the southern part of Singapore." Singapore has consistently been at the forefront of futuristic transportation, while enacting laws that make transportation within the country both fluid and incredibly organized. In a report last year by McKinsey, the city-state ranked number one among 24 major cities around the world in terms of seamless urban transportation systems. It led the other cities in the primary parameters of availability, affordability, efficiency, sustainability and convenience. With a population of 5.6 million people and a density of over 20,000 people per square mile, Singapore has the compulsive need to innovate within its transportation corridor and has successfully pushed a system that has worked exceedingly well despite the traffic volume. However, planning for steady population and economic growth, the country is now looking towards the skies as a transit possibility of the future. The Volocopter is an autonomous vertical take-off and landing (VTOL) aircraft that can be controlled either by a pilot on a joystick or can be remotely controlled from the ground. An essential part of the initial test runs would be to determine which mode would be more relevant to the country's transportation needs. Though the Volocopter looks like a cross between a helicopter and a drone, the vehicle is essentially a drone because of its computers and mechanics. The initial runs will also help authorities determine if they could pursue different possibilities within the urban mobility niche – for instance, using Volocopters as drones to move freight. 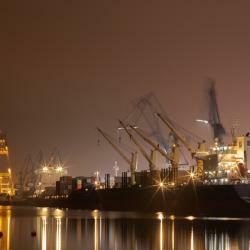 The rise of e-commerce and the subsequent increase in consumer expectations on expedited delivery times has warranted the use of innovative last-mile solutions and warehouse automation, stretching supply chains taut. Potentially, drone delivery systems are the next phase of the last-mile delivery expansion; this system is already being used in mainstream e-commerce delivery across China. That said, Volocopter is much larger than a conventional drone. This allows it to carry bulkier and heavier loads, helping delivery companies to load several packages onboard for their last-mile journey. With its high-rise buildings, Singapore could be ideally suited for drones to land atop them, helping kick-start a new delivery mode across the country. Volocopters could also double up as a mode of transport for tourists, giving people an eagle-eye view of Singapore's skyline and tourist spots like Marina Bay or Sentosa. 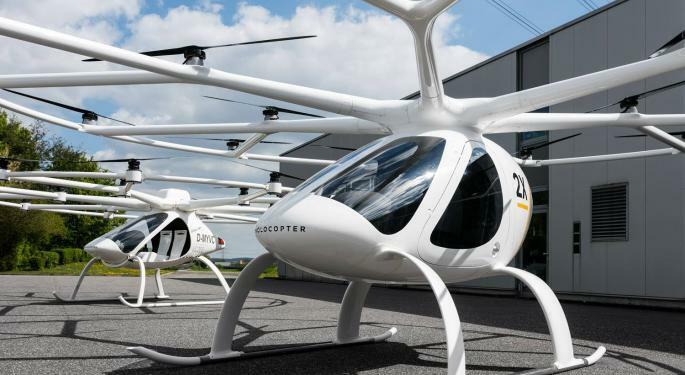 The vehicle's development team has stated that Volocopter rides can turn out to be as affordable as a taxi ride across the city, as the materials and components used in the VTOL vehicle would be inexpensive when manufactured and operated at scale. Like most of the commercial drones in business, the Volocopter is made predominantly of fiber composites – making it lightweight – and has a maximum take-off load of about 1,000 pounds. "So in the long run, we don't want you to own the Volocopter. We want to use the Volocopter just like you hail a cab ride today. It will be affordable for everyone for particular trips where it makes sense to take an air taxi," said Florian Reuter, the CEO of Volocopter.